Helen Mader is the co-founder and executive director of Behavior Frontiers, LLC, a non-public agency providing applied behavior analysis (ABA) services to individuals with autism and other special needs. Mrs. Mader holds a Master of Arts degree in psychology and is a Board Certified Behavior Analyst (BCBA). She has been providing ABA services to individuals with autism since 1998. She has extensive experience with and has developed trainings on the principles of behavior, discrete trial training (DTT), naturalistic teaching strategies (NaTS), functional assessments, verbal behavior, social facilitation, Picture Exchange Communication System (PECS), school shadowing, toileting, and play skills. Mrs. Mader also specializes in the design and implementation advanced curriculum, such as in the areas of perspective taking and complex social/emotional understanding. At Behavior Frontiers, she is dedicated to providing high quality ABA services, using empirically proven methods aimed at reaching each client’s maximum potential. 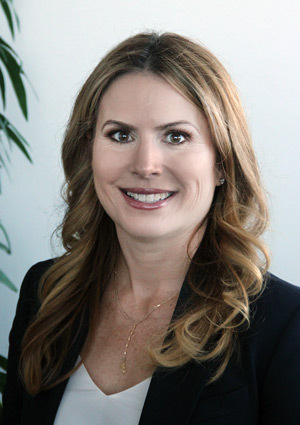 Carrine Pilkington, or Carrie, received her bachelor’s degree in psychology and her master’s of science degree in educational psychology – marriage and family option from California State University, Long Beach. She completed her course work to become a Board Certified Behavior Analyst (BCBA) at National University, Los Angeles. She has been a BCBA since March, 2009 and a licensed Marriage and Family Therapist (MFT) since April, 2013. She began working with children with special needs in 2004 and is dedicating to helping families and children with autism and special needs access exceptional services and behavior intervention. Carrie is trained in Applied Behavior Analysis (ABA) using Discrete Trail Training (DTT), Verbal Behavior (VB), Pivotal Response Training (PRT), Natural Environmental Teaching (NATs) methods and is a certificated PEERS provider through UCLA’s PEERS Program. Carrie offers a variety of superior experience and skills ranging from curriculum development, program design, ABA teaching techniques, assessments, parent and staff training. Rosi deDomenico is excited to be a part of Behavior Frontiers’ Executive Leadership team. Rosi earned her Bachelor's Degree in Psychology from Santa Clara University, where she also minored in Spanish. Later, she attended the University of Nevada, Reno, where she received her Master's degree in Psychology, with an emphasis in Applied Behavior Analysis, while completing coursework to become a Board Certified Behavior Analyst. Rosi has worked in the field of Autism Spectrum Disorders since 1999, and has been a Board Certified Behavior Analyst since 2004. Her emphases and strengths are in the areas of positive behavior supports, development of functional communication and pro-social and behaviors for clients, parent and caregiver education in behavior analytic principles and strategies, and on-going staff development.